Halloween is never boring with Jack-o-lanterns, Frankenstein masks, vampire capes, and other costumes perfect for those parties and trick-or-treats. 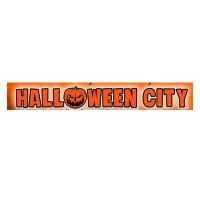 In New Jersey, customers head to Halloween City, a retail chain of party supplies operating under Party City Holdco Inc. The first store began operating in 1987, a year after Party City was founded. Back then, a portion of Party City’s store was converted into a Halloween costume warehouse. This move led the management to focus on Halloween. Despite the fact that Halloween happens once a year, the company decided to keep stocks of Halloween costumes all year round. Employees like working for the company because of its benefits. Not only do they receive a competitive pay, but they also work at flexible hours. Employees are likewise eligible for product discounts. In addition, the company offers employee assistance programs, retirement plans, health coverage, long-term and short-term insurance plans, and various opportunities for training and development. Workers who are on-the-job training get paid, too. How old do you have to be to work at Halloween City? The company accepts applicants who are at least 16 years old, but can only work for entry-level jobs. Aspirants for managerial positions must be at least 18 years old. The company seeks hardworking, professional, and committed individuals who want to work in such fun environment. You may want to browse the available positions below and see whether your skills and qualifications fit the descriptions. Customers usually look for items that may not be on display, but are nevertheless in stock. Sometimes they have complaints or concerns regarding the item. Such instances are handled efficiently by a Sales Associate. He must be able to address these concerns and ensure 100% customer satisfaction. Whenever necessary, the Sales Associate cleans the store and rearranges items on shelves. A manager cannot work alone; he needs someone to help him monitor sales and employee performance. This is where the Assistant Manager becomes important. He steps in and assumes the Manager’s roles when the latter is not around. He also coaches and trains the staff. The Store Manager is considered the captain of the ship. His strong leadership and wise decisions steer the store in the right direction. His business acumen is especially needed in driving sales, providing excellent customer service, and training employees. He also studies sales history and makes projections. The District Manager is in charge of monitoring store locations assigned to him. He usually handles not more than ten stores, and coordinates with Store Managers and AMs in each location. He evaluates the store’s performance and recommends steps on boosting sales. He is also one of the people who interviews job seekers. Costumes and decors are delivered to the warehouse for packaging and delivery to stores. Because of the number of merchandise items sent to the warehouse regularly, they must be categorized and listed in an inventory. The Warehouse Associate maintains this inventory and checks if there are missing or damaged items. Customers who browse the company website may contact the CSR, who is always available to respond to queries. The CSR also assists customers who have complaints via phone call or email. The ideal candidate must be courteous, prompt, and patient. He must listen carefully to the client and record the conversation for future references. The team leader is the middle man between the store associate and the managers. Thus, he must be in the store from opening until closing hours. He is also responsible for processing returns and discounts, and handling cash transactions. Team leaders are expected to be detail and results-oriented. The main task of the Operations Specialist is to ensure that store operations are aligned with the company’s standards and policies. He is mostly assigned to front-end compliance management and other key operational functions. He helps in recruiting, hiring, and managing the Associate team. He also coordinates with managers regarding the performance of the store. The essential duties of a Merchandising Coordinator are the following: using merchant systems to prepare analytical reports; disseminating these reports to the Merchant Team; assisting the team in placing products and setting up displays; and communicating regularly to vendors. He likewise monitors the communication between vendors and the Merchant Team. The Merchandise Specialist directs store freight flow; coordinates and handles stockroom operations, organization, and merchandise transfers; and screens and interviews job seekers with the potential to be part of the Associate Team. Whenever necessary, he acts as director on duty, and provides feedback to his staff. To apply, you must first choose a Halloween City store location. Identify the position you are applying for and click the Apply Now link. If there are no positions available, you may join Halloween City’s talent network. Online application is also possible, and you can also ask for a printed application form from any of Halloween City’s stores or corporate offices. Instructions for online application, on the other hand, are found on the company’s Online Assessment page. Once you have completed the online application form, register as a candidate on the website. Create a username and password – this will be your login details the next time you apply at Halloween City again. Highlight your strengths and skills in your resume. Indicate your areas of study, special trainings, and certifications (if any). Keep your resume looking neat and professional. You will also need to accomplish a 40-minute questionnaire and sit through the job interview. Research about the company as this is one of the basic questions in interviews. Halloween City believes that passion and energy are the driving forces behind the company’s success. As a result, employees imbibe the excitement that fills the store. Like its parent company Party City, the store usually conducts Clearance Sale, where customers can buy products for an incredibly low price. During the sale, customers can save up to $30 to $40. Halloween City is the perfect go-to place for Halloween costumes and party needs. To improve its operations and services, it recently participated in the 2018 ICR Conference held in Orlando, Florida. Attending webinars such as the ICR Conference is one proof that Halloween City is committed to providing quality service to its clients. It’s also known for its transparency, because it consistently shares annual reports to the public. 1 How old do you have to be to work at Halloween City?